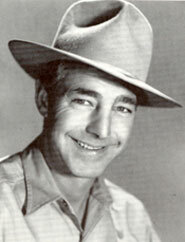 Veteran heavy Pierce Lyden stated, “Kenne was white-haired and handsome; the pictures did not do his looks justice. He was an expert marksman and in demand making personal appearances throughout the south. They would show one of his pictures, and then a music group would perform. 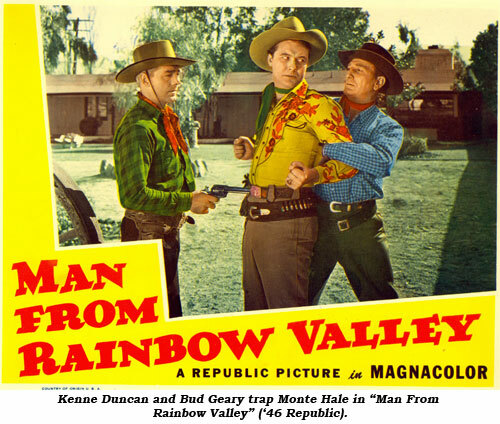 Next, would be Kenne and his shooting exhibition.” Incidentally, that trick shooting act was filmed and released circa 1949 as “The Face”, a 10 minute color short directed by the notorious Ed Wood, for whom Duncan did many films late in his career. Kenneth Duncan MacLachlan was born February 17, 1902, in Chatham, Ontario, Canada, of Scottish parents Duncan MacLachlan and Jane Elder (whose nickname was Duchess), both Canadian natives. Kenne later became a U. S. citizen. 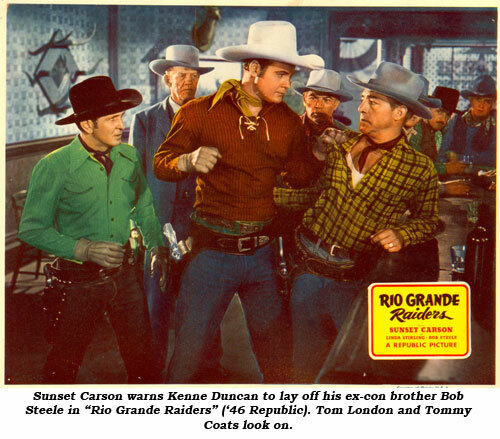 Prior to entering films Duncan was a successful gentleman jockey who won races at Canada’s Bluebonnet tracks and rode with the hounds in England. He later owned a brood farm “somewhere near where the Equestrian Center in Los Angeles is now.” according to actor Dale Berry who recalls it being named the Silver D. “As I recall, Dale thought, “Kenne had around 11 thoroughbreds. He loved horses but hated to ride.” Between pictures, Kenne often trained horses at the Riviera Country Club. Duncan was well educated, attending both St. Andrews College in Toronto and the Royal School of Infantry at Wolseley Barracks, London, Ontario. However there is no evidence Duncan ever served in the Armed Forces for either Canada or the U.S.
Duncan reportedly made his stage debut shortly after he finished school. 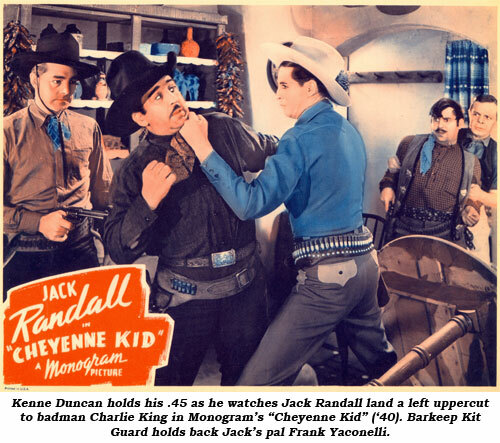 Although the play closed after a week, acting was in Kenne’s blood and, after a brief fling as an accountant, he found his way to Hollywood at the end of the silent era in 1927, managing to work in two Universal two-reelers with George Chandler and Bob Curwood and a Jack Hoxie feature “Man From Wyoming” (‘30). Possessed of a solid, husky voice, Kenne moved easily into talkies with several uncredited bit parts. In 1934 he co-starred opposite Charles Starrett in the Canadian made “Undercover Man” for which he also contributed the original story. 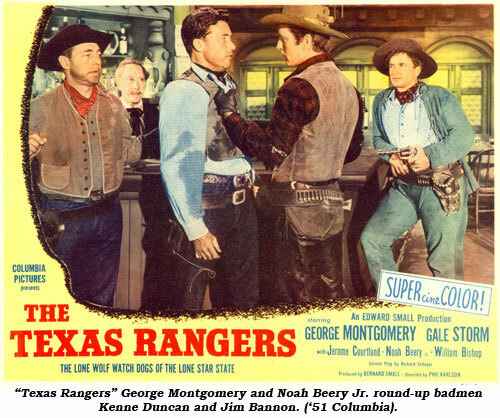 From then until the late ‘50s Duncan worked continually, and often—some 225 westerns and serials—through 1959, primarily at Monogram, Republic and, later, with Gene Autry at Columbia and for his various Flying A TV series as well as essaying sheriffs, military officers and businessmen on “Cisco Kid”, “Kit Carson” and “Lone Ranger”. His last work was on a “Rawhide” in ’60 and in Bill Williams’ “Oklahoma Territory”. 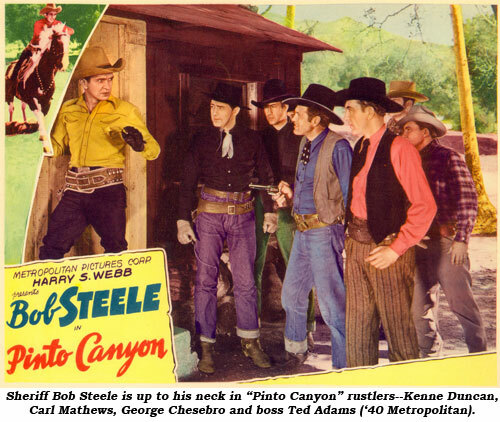 In 1948 Kenne even got the chance to star in a western. 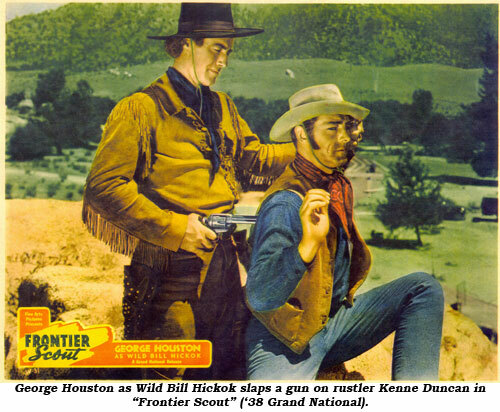 “Powder River Gunfire” was a 25 minute short released by Universal-International who was also experimenting with short westerns starring Tex Williams. Sadly, a series did not materialize and the film seems lost to the ages. 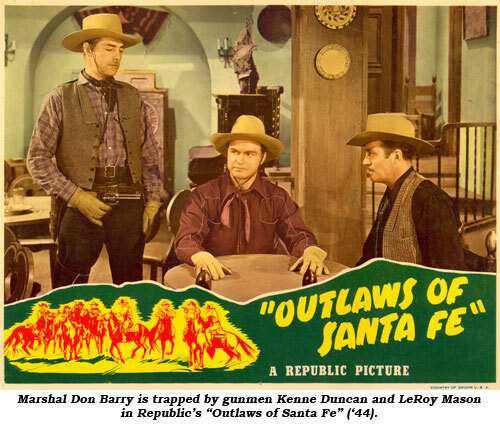 Kenne did take this film on tour with him in the ‘50s for showing along with his trick shooting exhibition. 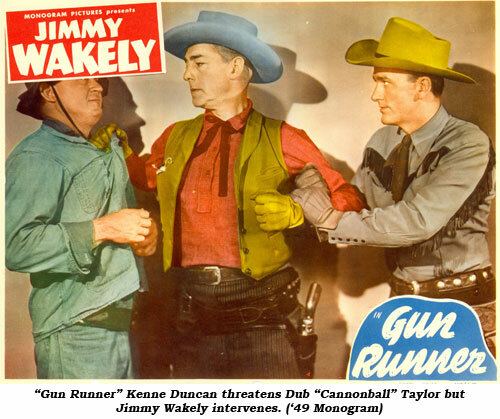 In 1954 Duncan made a tour of Japan where he was quite popular and even starred in a Japanese “western” titled “Onna Jariocha Wachu Wachu Dochu” (“Tokaida Road” in English). Kenne spoke phonetic Japanese in the Oriental version and had to be cued by hand signals. The story had Keene in Japan’s feudal days battling the evil Samurai villains. So popular was Kenne in Japan, he rode Emperor Hirohito’s white horse down the Ginza in Tokyo. Serials were always a strong part of Kenne’s career and he made an even two dozen beginning with “Flash Gordon’s Trip To Mars” (‘38 Universal). He was chief aide to the nefarious Scorpion in Republic’s “Adventures of Captain Marvel” in ‘41. Becoming one of Republic’s main henchmen he teamed with Bud Geary and Roy Barcroft in “Haunted Harbor” in ‘44 and was the right hand man of Captain Mephisto in “Manhunt On Mystery Island” in ‘45. He made a few departures in serials (and several westerns) from the usual henchman role such as when he played Ram Singh in Columbia’s two Spider serials (‘38 and ‘41). Again in NIGHTMARE—, Ed Wood’s widow, Kathy, recalls Kenne’s 36 ft. wooden hull boat, Oil Ken, and some of the drinking that went on there, “It was real crazy.” Dale Berry also recalls the Oil Ken and says, Kenne and Kathy had quite an affair that even Ed was aware of but unconcerned about. “There was no secret about it,” Dale stated. PS: In June 2018 we received this interesting email. > I was born in 1954 when Kenne was 52 years old. My mother is Rose Holmgren-Smeal then 30 and beautiful. Her sister is Rita Smeal who was the wife of Crash Corrigan. > My legal father Don Holmgren used to drink and party with Kenne. > My mother passed in 2010. In 2015 I did Ancestry DNA and it confirmed that I am indeed the daughter of Kenne Duncan. Just recently Kenne’s niece Sandra, now in her 80s, submitted DNA to Ancestry and showed on my DNA as a 1st cousin. She is the daughter of Malcolm Maclachlan, Kenne’s younger brother.